The Fifty Reasons Why It's Great to be a Man! You can make a decision whithout someone asking you 'If it's ok?" And many more! Personally, I love being a man, and I've put the reasons down in writing so that you can enjoy them to. But why stop there? 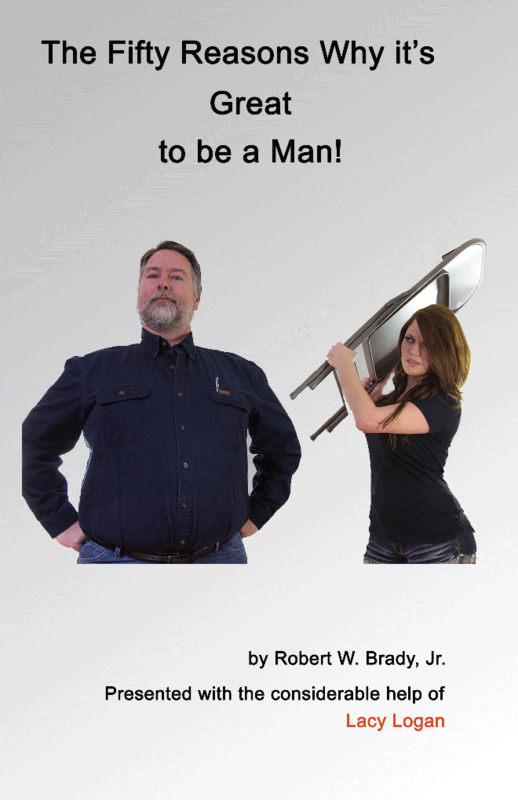 I've enlisted the help of Lacy Logan and JGPhotos to illustrate this book and to make it even more entertaining to you. Want more? Fine - I'm also including what is perhaps the most guarded secret in all of history: The Ten Secrets that No Woman Must Ever Know. That's right! Kept for millennia among a secret few, these are the secrets guarded most closely by men around the world, passed down from Adam and now delivered to you! So how can I make this all even better? How about by making it FREE! That's right - because this is information that belongs in every man's hands, and because Lacy is so unimaginably good looking I can't think of any amount that I should charge for this book, so I'm not even going to try. Register below and I'll send you a .pdf version of the book right now! We won't resell your email, we won't spam you with 'other amazing offers.' This is my gift to you. This book is available in Kindle and paperback from Amazon.com, or you can get the PDF for free by registering online, below! Send me a .PDF of this book!